I t is a king size quilt that I made for my Niece’s wedding present. 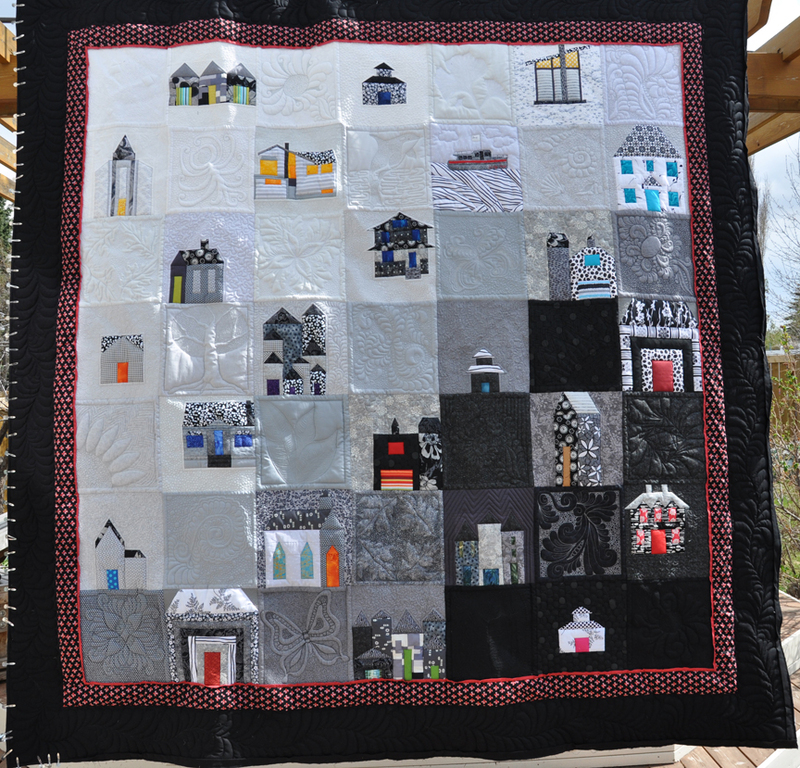 I has 24 unique house blocks (several are reproductions of homes that have sentimental meaning to her) and 25 plain blocks with unique free motion quilting designs. You can read more about this quilt and see more pictures here. A lovely quilt. So fun with the quilted squares in between. I love every houses. I love the colors and fabrics you chose. If we look from top left to bottom right, it seems we go from noon to dusk to midnight. Perfect! What a fantastic gift! I love that you were able to recreate homes that are special to your niece, and I love the color gradation. The quilting is fantastic! I hope people follow the link to see all the details. A fabulous quilt, full of so much love and good memories. The quilting is stunning. This will ce he rushed for years!